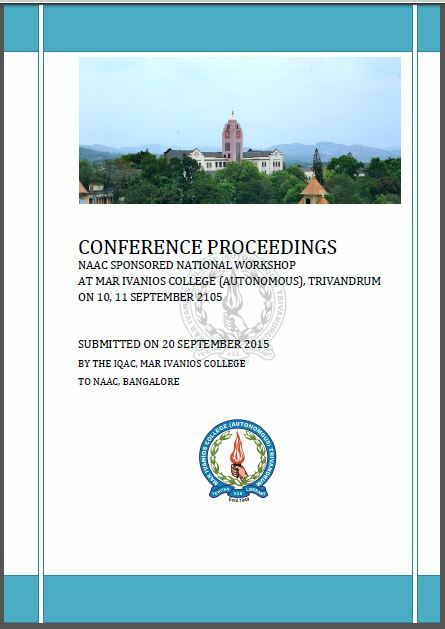 The IQAC at Mar Ivanios College is pleased to present the Conference Proceedings of the Two Day NAAC Sponsored National Workshop held at Mar Ivanios College, Trivandrum on 10, 11 September 2015. The theme of the Workshop was "Towards Formulating Best Classroom Practices in Teaching-Learning and Evaluation". ​Please click on the image below to access the Conference Proceedings.